Draw will be held Friday December 5th 2014 at 12:00 noon, and winner will be announced on the website. Good Luck, and Season’s Greetings! ← Custom Wine Cabinet, complete with hidden storage compartment and rub through custom finish! 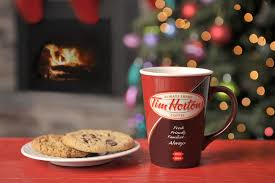 So in for a Tim’s contest .love coffee .seasons greetings to you both . Wow, Tims card for $10k, I’d be drinking coffee for free for say about….. 1yr..!! Love coffee, and certainly love a Tim’s card for $10.00.. Happy Holidays or Merry Christmas from my family to yours! The first thing that i did after moving to Canada from India was buy a French Vanilla from Tim Hortons in Airport Rd, so much better than Starbucks. Happy Holidays everybody…. Chris is an amazingly talented and dedicated custom cabinet maker. He can custom build just about anything! Merry Christmas and all the best in 2015! !